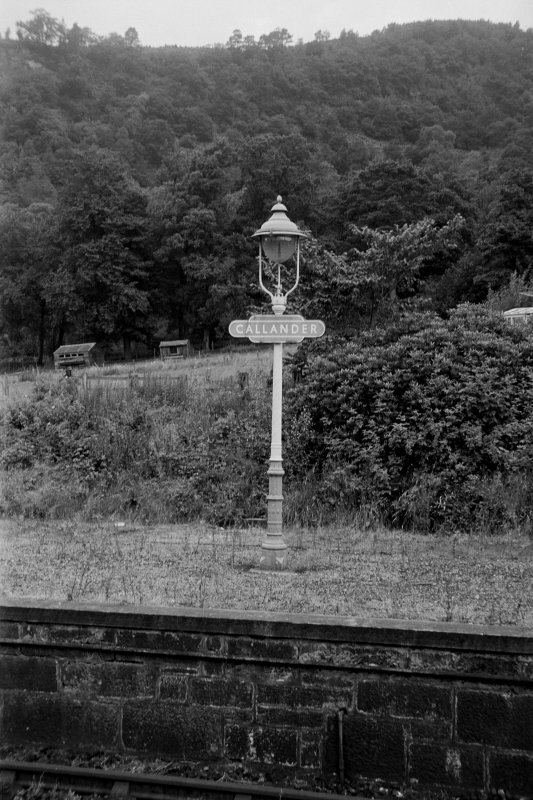 For predecessor station (NN 6248 0768), see NN60NW 72.00. 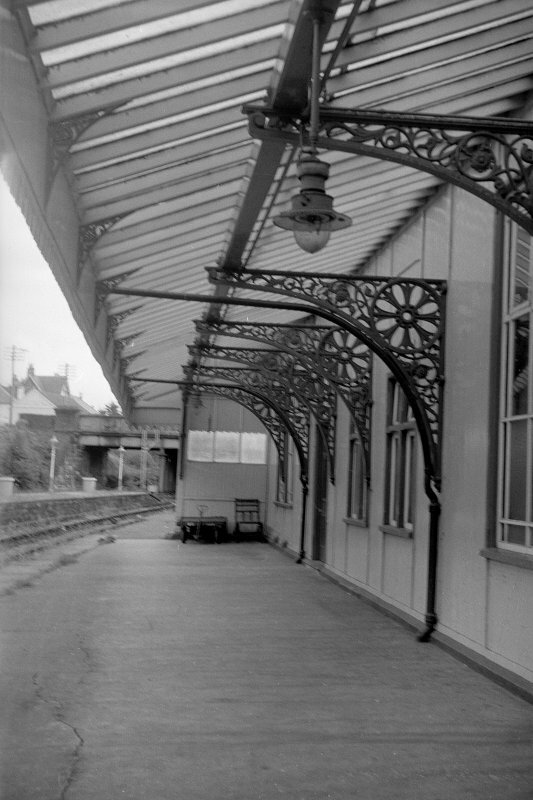 This station had bays at either end of both up and down platforms and a passing loop on the up side. 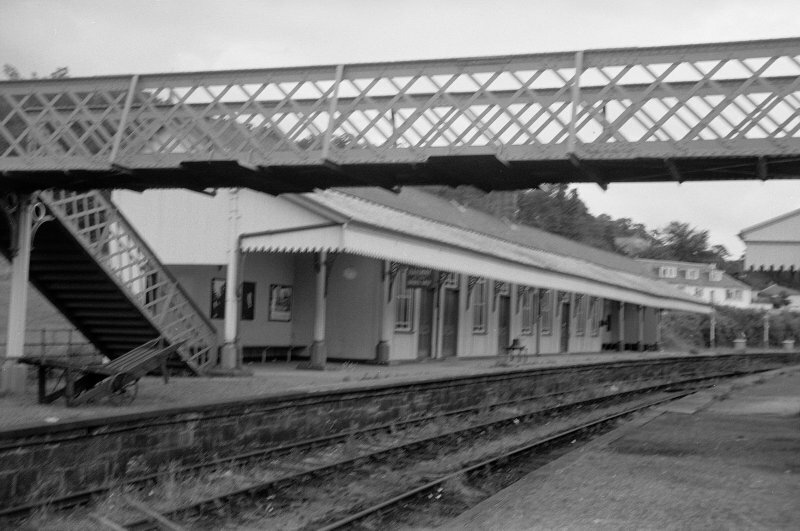 The footbridge was crowned by a small clock tower until 1947 when the bridge was replaced following an accident. 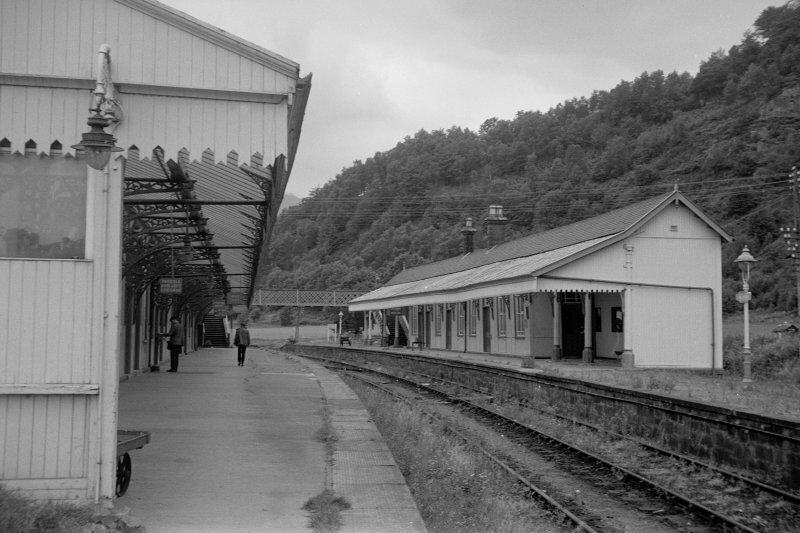 As reconstructed in 1883, the station had a long facade facing the forecourt and three gabled transepts; the upper structures were of painted timber and included elaborately-sculptured eaves. 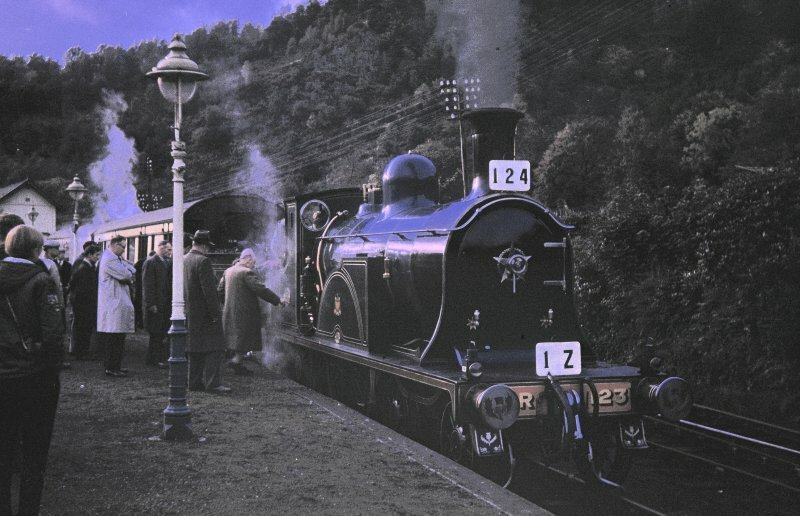 C E J Fryer 1989. 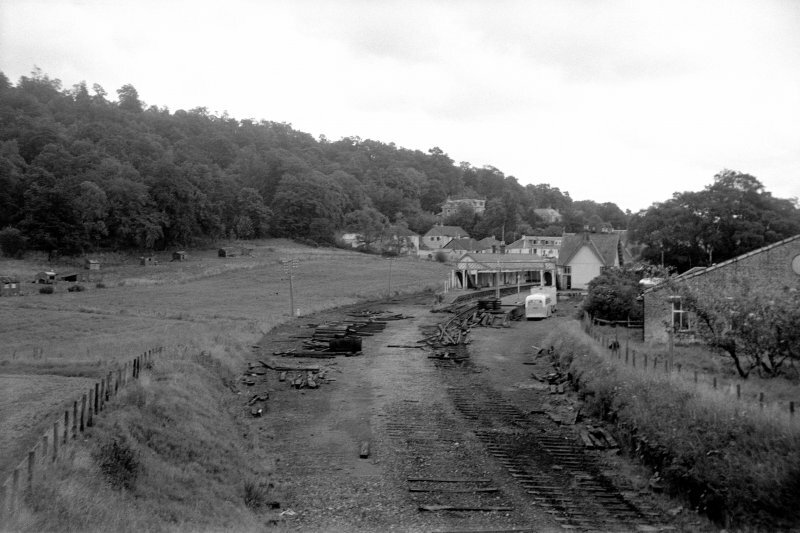 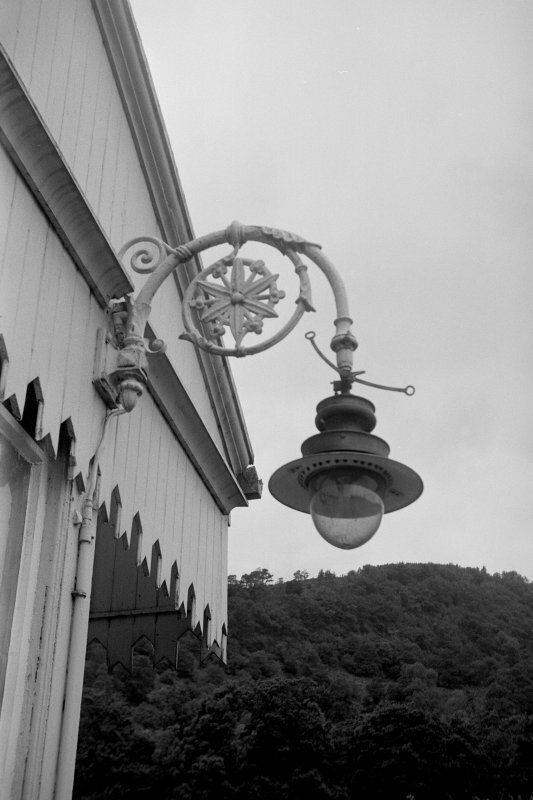 Callander (Dreadnought) Station opened circa 1870 for the Callander & Oban Railway which was later absorbed into the Caledonian Railway, LMS and since 1947 British Railways and closed November 1965. 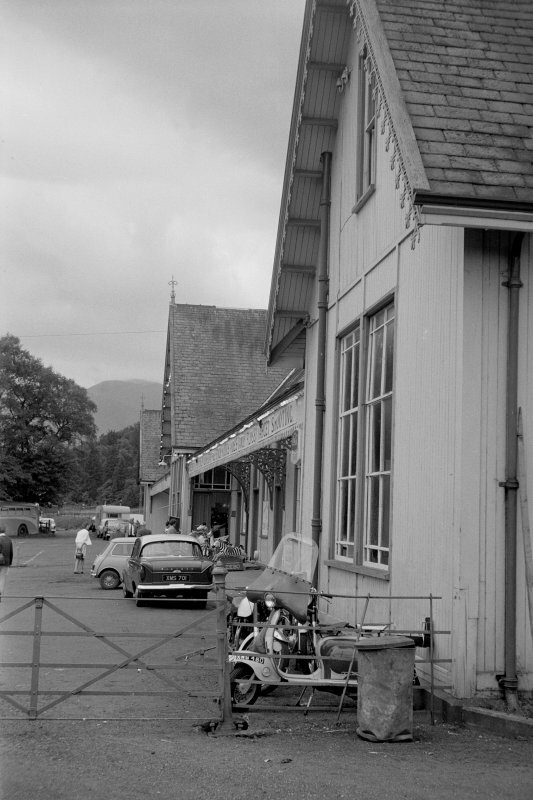 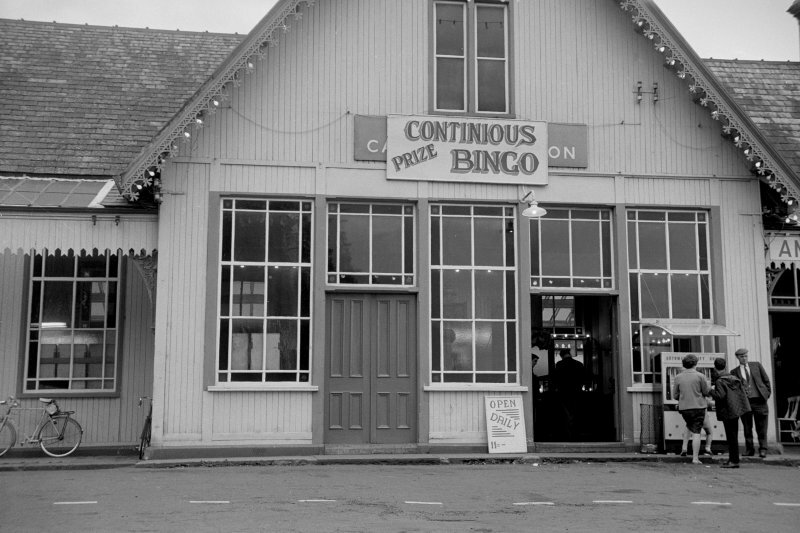 Of mainly wooden construction, the station along with the ancillary buildings was demolished to make way for a car park. 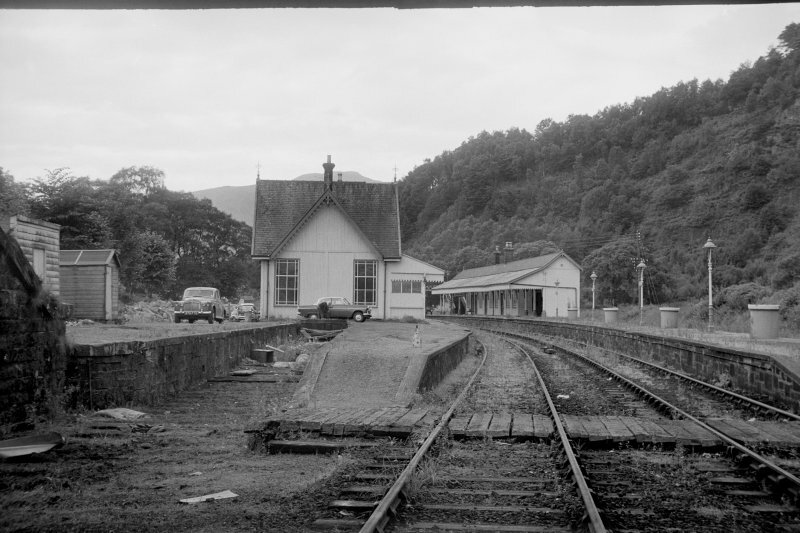 This intermediate station on the Stirling-Oban (main) line of the (former) Caledonian Rly. 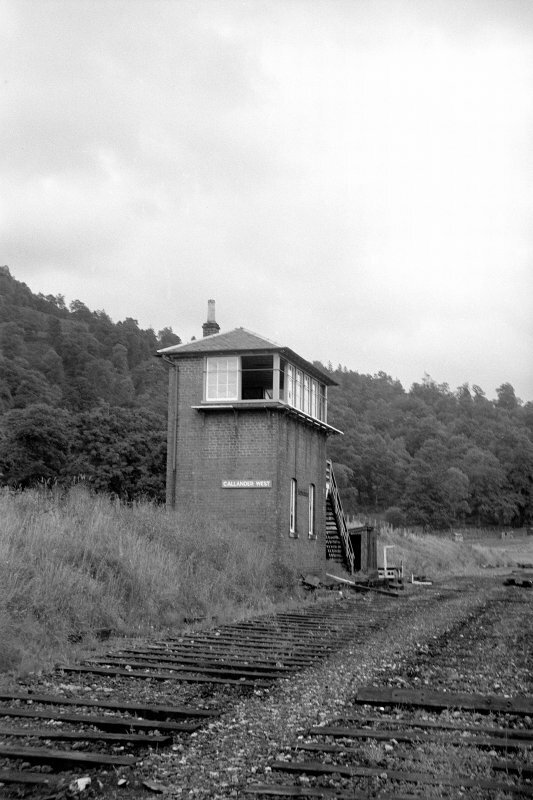 was opened (by the Callander and Oban Rly.) 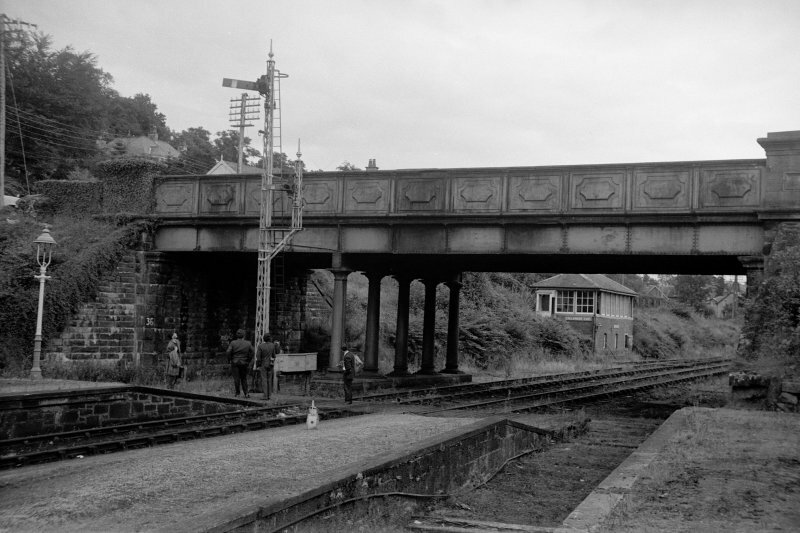 on 1 June 1870, supplanting an earlier station situated to the east. 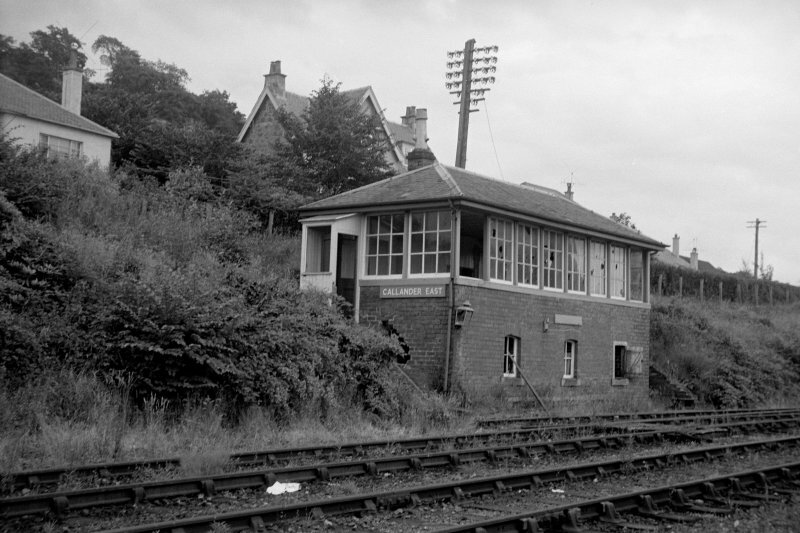 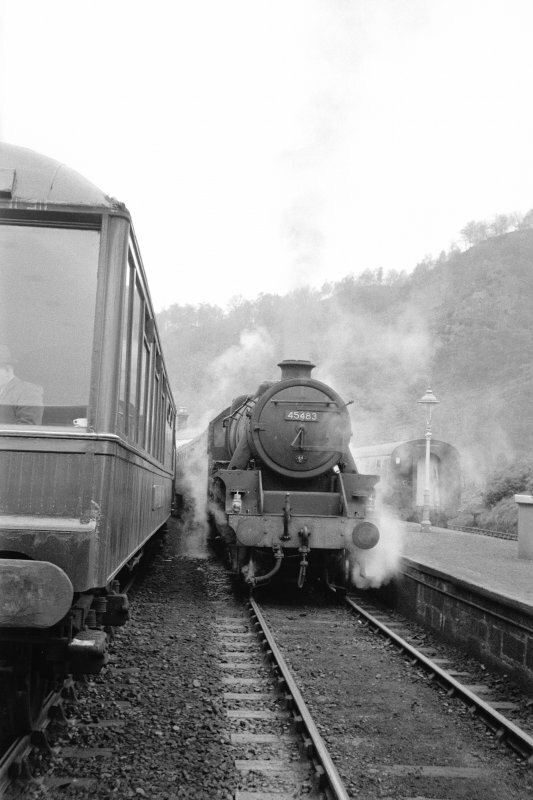 It closed to regular passenger traffic on 1 November 1965.